In celebration of the one hundredth anniversary of the birth of Ansel Adams and to accompany the exhibition, Little, Brown and Company proudly publishes the most significant book yet on his work, Ansel Adams at 100 - oversized Centennial volume edited and with a text by the legendary curator John Szarkowski. 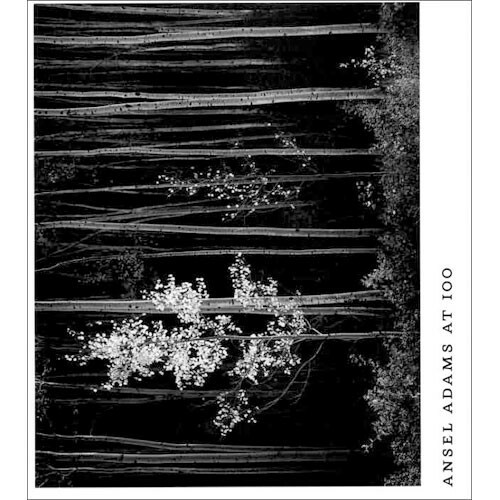 Ansel Adams at 100 is a superlative piece of bookmaking. The exhibition prints have been scanned in tritone; the book is impeccably printed on special French paper and bound in linen cloth, with a matching slipcase. A true "collector's edition." Box Dimensions (LxWxH) 14.7 x 13.45 x 1.5"